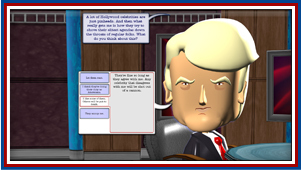 Run for President of the United States as one of over a dozen presidential candidates or create your own ideal candidate. Give speeches, go on talk shows, hire unsavory operatives, and do whatever it takes to win on election day. v1.3 Included: New issues (National Anthem Protest and more), and new candidates (Jill Stein, Tim Kaine, and more). 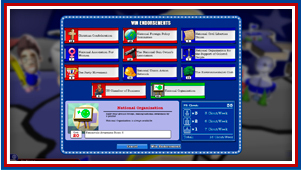 v1.2 Included: Ranked multiplayer matchmaking, election simulation mode, and new "Brexit" event. 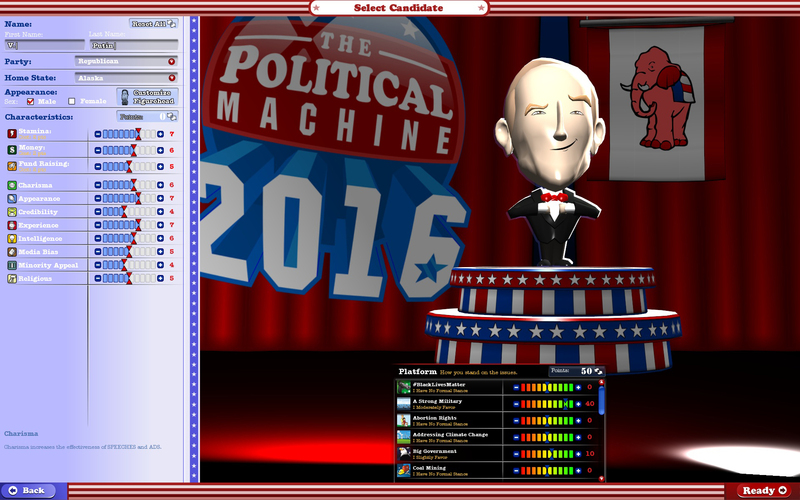 v1.1 Included: Over a dozen new candidates, updated issues and candidate stances, plus a new random event. Time for Some Mudslinging! 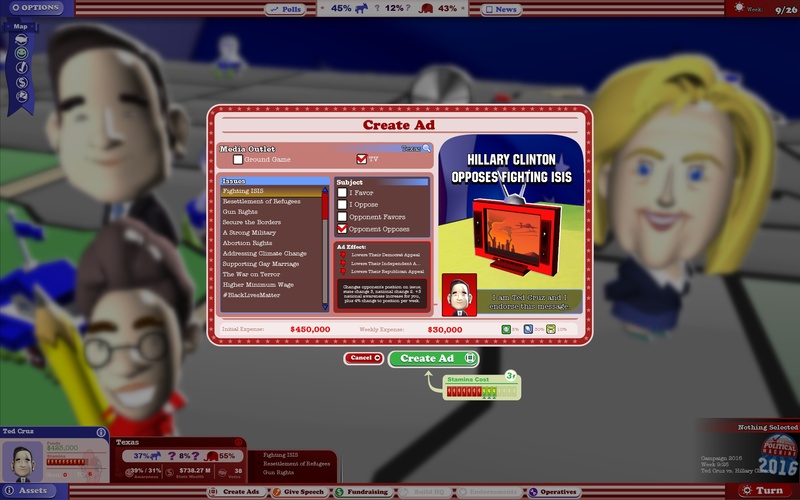 – Use your power and money to purchase ads and influence voters. 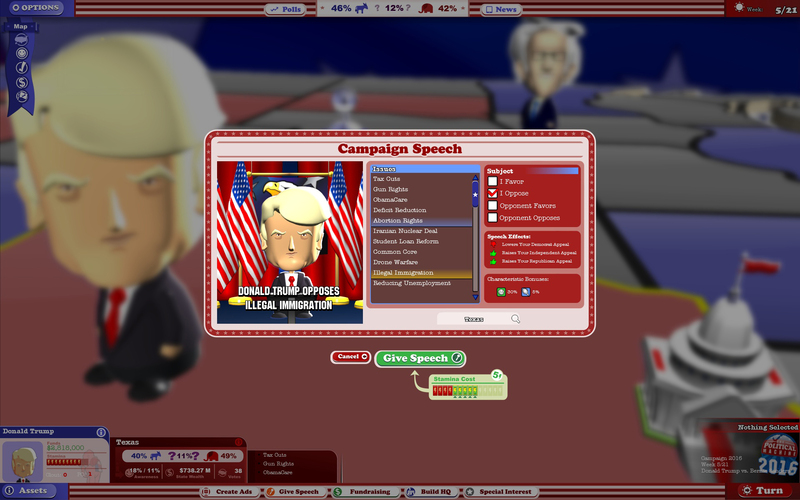 Dozens of Candidates – Play as one of several pre-made past and present candidates like Donald Trump, Hillary Clinton, Sarah Palin, Barack Obama, and more. 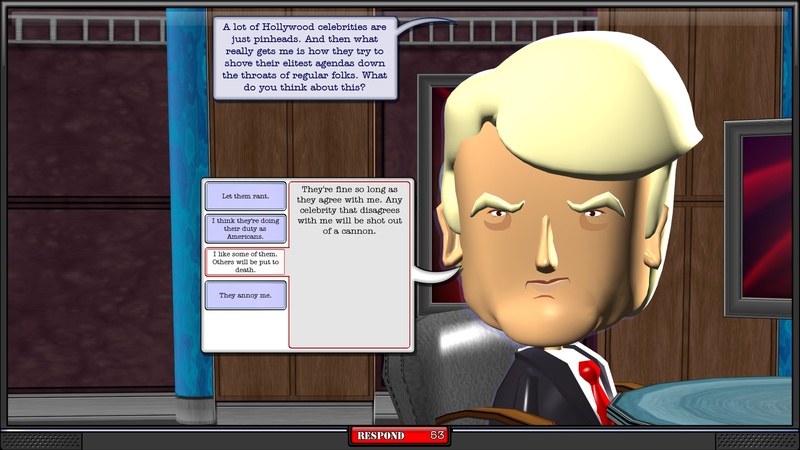 Out-talk, Out-smart, and Out-spend your Opponents – Gain favor with the public by interviewing on talk shows, navigate disastrous random events, and buy advertisements to gain an advantage over your adversary. 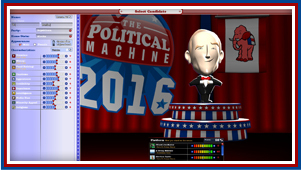 Practice Your Politics – A sophisticated underlying simulation model uses census data and real issues to test your political savvy. 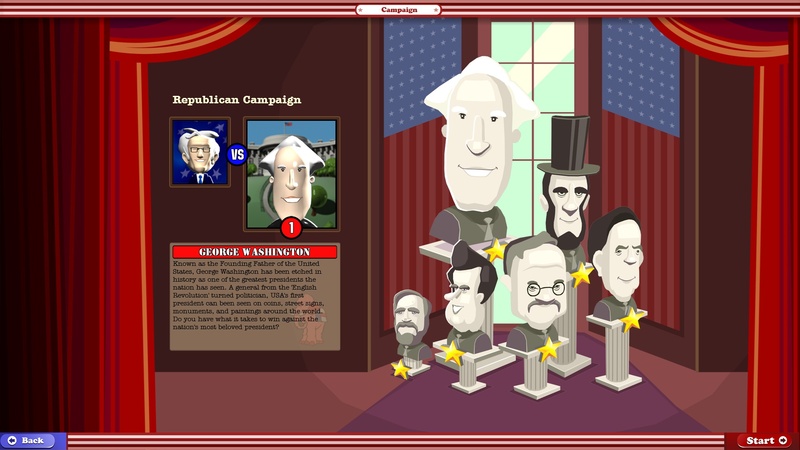 Turn Friends into Frenemies – Challenge a friend for the presidency in multiplayer mode. 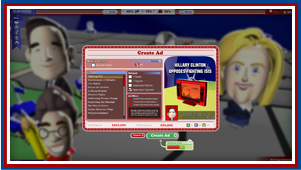 Create a Candidate – Not a fan of the candidates? 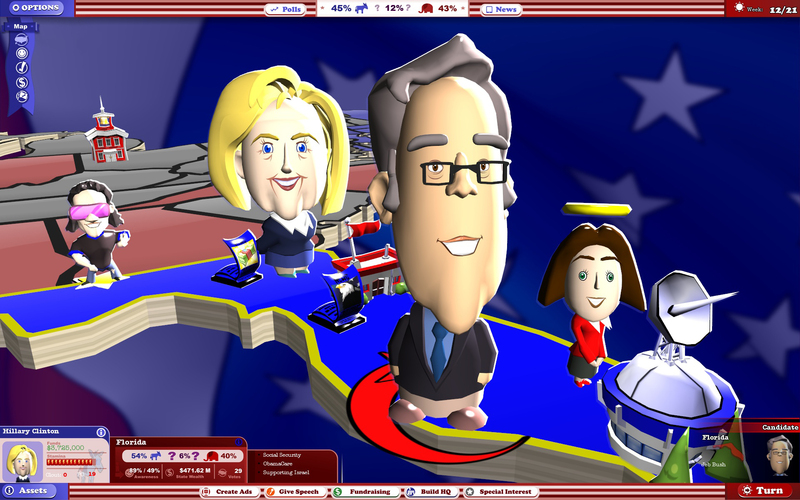 Create your own custom front runner and race for the White House. 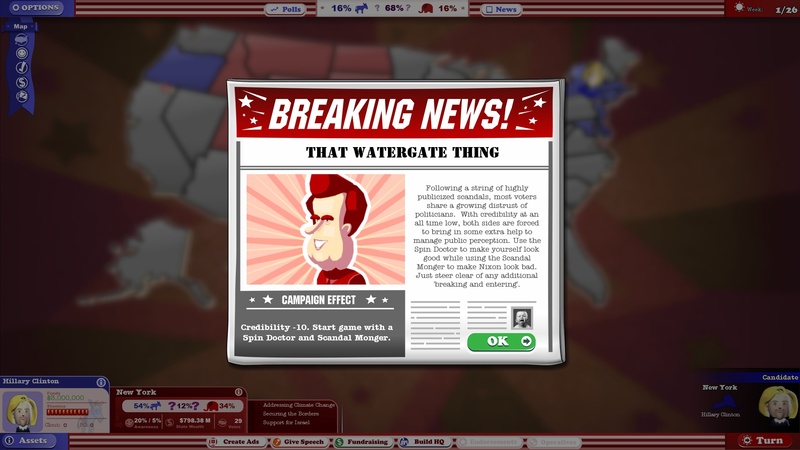 Be Ready for Anything – Torrid affairs, natural disasters, email scandals, and other random events can come out of nowhere and change the direction of the campaign for better or worse. 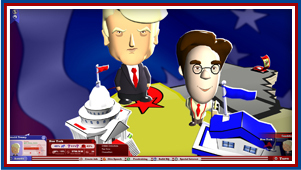 Check your Standings – With poll tracking and leaderboards, you can see how well people are playing as their candidates or what issues they are supporting over time. Trump takes on the issues. A fearsome fight for Florida. Who pays for all this confetti? Something isn't right about this candidate. Multiplayer: Turning friends into frenemies. Ted puts Hillary's reputation to the test. 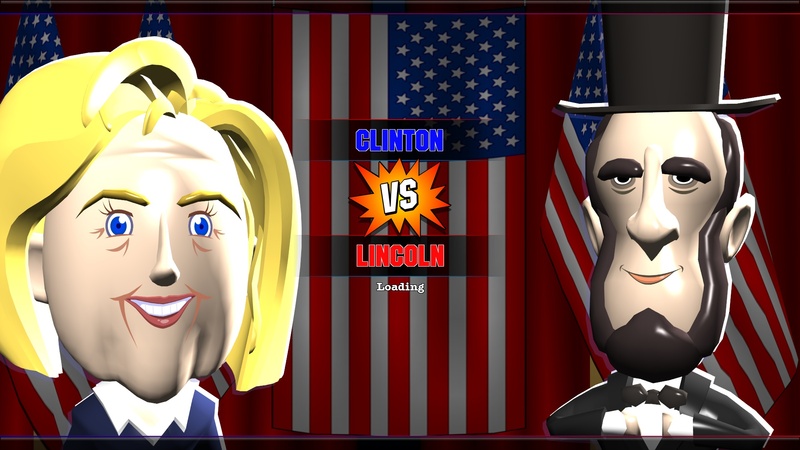 Battle for your spot in the White House against some of the most famous (and infamous!) presidents in American history. 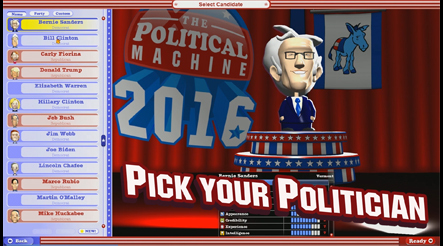 In the new ladder mode, you will choose your political party and launch your campaign against increasingly challenging opponents. Do you have what it takes to go down in history? 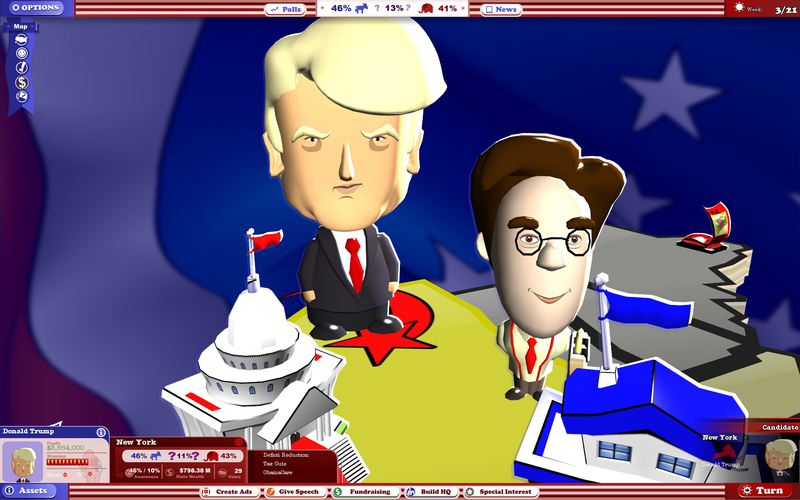 New Ladder Mode - Democrat or Republican? 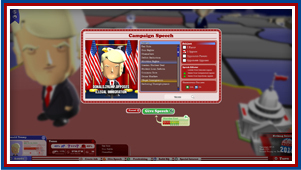 Choose your side and take the nation by storm as you campaign against members of the opposite party to win the presidency. Don’t let your victories go to your head, though - each new opponent will prove more difficult than the last. No one ever said winning the election would be easy! 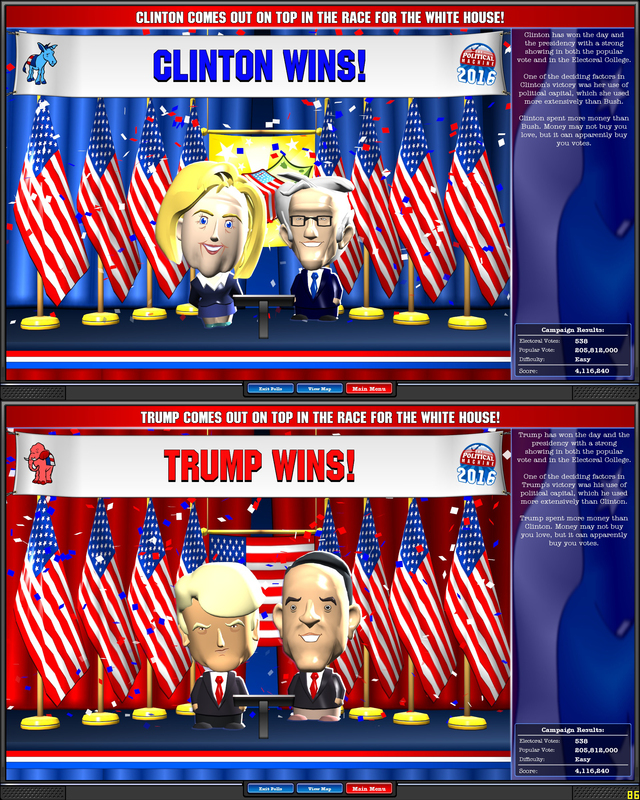 New Historical Candidates - Race against several historical presidents of the past and claim your victory against them. 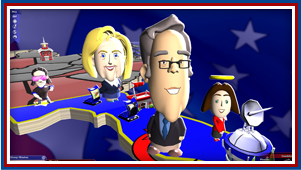 Each candidate comes with a modern perspective on all of the hot current issues and is ready to fight for the 2016 presidency. 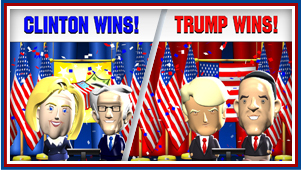 Defeat each candidate to unlock them for general gameplay. 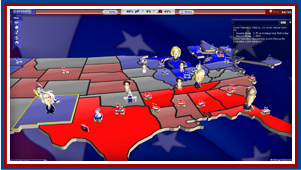 New Challenges - Elections are unpredictable, so each ladder-mode match includes a custom challenge. Things like dealing with high gas prices, the people’s mistrust of politicians, impending war, and more will keep you on your toes as you try to make your opponent’s campaign points a forgotten memory.